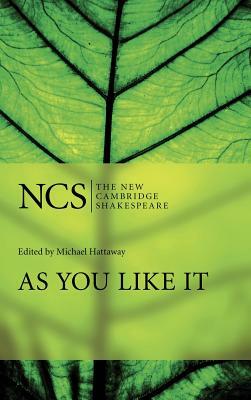 As You Like It (New Cambridge Shakespeare) (Hardcover) | The Drama Book Shop, Inc.
Shakespeare's As You Like It can appear bright or sombre in performance: a feast of language and a delight for comic actors; or a risk-taking exploration of gender roles. This updated edition provides an account of what makes this popular play both innocent and dangerous. There is a section on recent critical, stage and film interpretations of the play, an updated reading list and a new appendix on an early court performance of As You Like It in 1599. Mapping the complexities of the play's setting - a no man's land related to both France and England, the edition also includes detailed commentary on its language and an analytical account of performance.